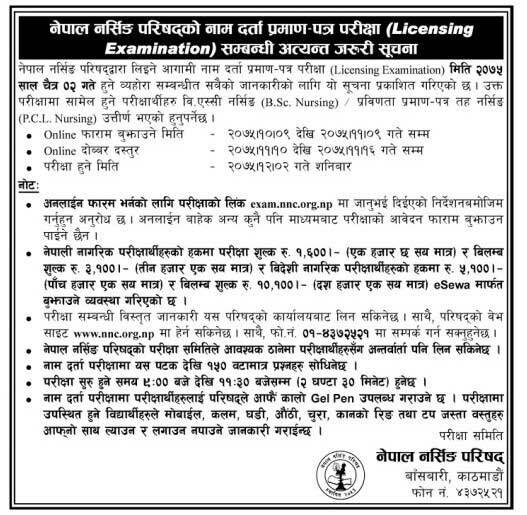 Nepal Nursing Council has published Nursing Licensing Examination for the year 2075. The examination is going to be held on Chaitra 2, 2075 (March 16, 2019). Interested candidates should have passed B. Sc. Nursing/ P.C.L. Nursing. Note: Application form submission other than the online is not acceptable.